According to experts, Russia will continue to actively export oil until the year 2020; even then, significant decreases are not expected. Today, Russia is a reliable exporter of raw materials for its partners abroad, but this wealth of exhaustible raw materials cannot last forever. Experts see prospects for the Russian economy in Chilean-style diversification. The Russian economy is highly dependent on its raw-materials complex: this is no secret to anyone with the least bit of knowledge about Russia. According to Russia’s Federal Tax Service, taxes on oil and gas production in the country account for nearly half of the federal budget. If metal and timber exports are added to those of oil and gas, 85 percent of all Russian exports are accounted for. Such a heavy dependence on natural resources – also known as its “raw materials addiction” – makes Russia a stable oil and gas exporter to be relied on in the long term. Yet, this resource dependency also creates a particular set of economic problems. The Energy Ministry’s forecast of 530 million tons by 2020 is entirely realistic. In the east and north of Russia, there are actually no less than 20 open oil fields that have yet to be developed. For example, the Vankorskoye and Verkhnechonskoye oil fields in eastern Siberia could, according to Novak, supply Chinese demand for a minimum of five years. After that, China’s demand would be satisfied by neighboring oil fields in eastern Siberia and Yakutia. However, two clear threats could upset the Energy Ministry’s plans to reach a production level of 530 million tons of oil by the year 2020. One threat is the current tax on the extraction of minerals; the other threat is the oil industry’s weak ties to other sectors of the Russian economy. The key problem with the tax system as it now stands is that the absolute indices of a company’s earnings are subject to taxes and duties, rather than the company’s financial result. Despite the fact that this approach did, at one time make, it possible to simplify the administration and collection of taxes, this method does not take into account the economics of the oil industry and virtually blocks the inflow of investments into it. To put the problem simply: the higher the price of oil, the greater the volume of its production, and the higher the taxes on that output. As a result, no matter how much a company increases its production of oil from developed oil fields, the potential increase in revenue will be wiped out by taxes. Existing tax regulations make the extraction of significant volumes of oil, at both new and developed fields, unprofitable. Of course, the Russian government has already introduced tax breaks for oil fields located in new regions of oil extraction; in fact, it has lowered taxes on oil extraction from both developed oil fields and small new ones. 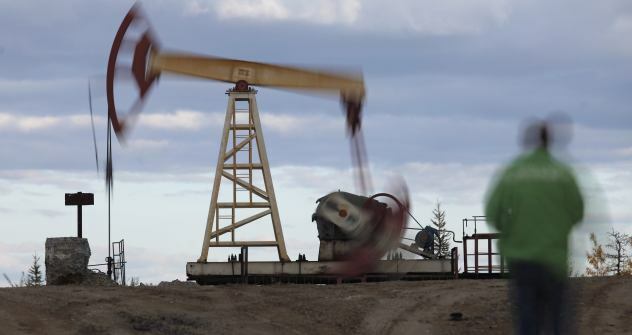 On Sept. 24, Energy Minister Alexander Novak announced that the government had decided to significantly lower customs duties for oil extracted from fields in eastern Siberia. Duties, he said, would be cut almost in half. Moreover, the cabinet of ministers intends to extend the zero percent tax rate already in effect to eastern oil fields. The tax break was scheduled to end on January 1, 2017, but has now been extended to January 1, 2022. These advantages will affect oil fields in Krasnodar Territory, the Irkustk region, Yakutia and the Yamalo-Nenetsky autonomous area. In developing these fields, oil companies have dealt with two main difficulties: an undeveloped infrastructure and a harsh natural environment. The lack of infrastructure hampers the delivery of oil to its end user and makes the process of transportation very expensive; the harsh environment raises the cost of extraction and decreases its profitability. A zero percent tax rate for oil fields with an undeveloped infrastructure makes no sense: oil that has been extracted has to be transported to the consumer somehow. However, if the cost of transporting the oil cancels out the advantage of not having to pay taxes on it, then oil companies involved still have no extra incentive. Russian oil companies barely manage to develop difficult-of-access oil fields as it is, due to increased costs, bad weather conditions, a lack of necessary technology and infrastructure, and the long distances to market. Russia is now faced, for example, with the task of extracting oil from the Arctic shelf. This, however, cannot be done without foreign partners, since Russia does not know how to extract the oil or whom to sell it to. Existing markets for Russian oil in Europe, for example, are only shrinking. Major companies such as TNK-BP, which is currently engaged in developing oil fields in Yamal and scheduled to begin extraction in 2016-2019, and Surgutneftegaz, which plans to increase extraction by developing three oil fields in Yakutia, are hoping for emergency government stimulus and help from foreign partners. As for Arctic shelf projects, Rosneft is already conducting geological reconnaissance missions on the Karskoye and Pechorskoye seas, where extraction is set to begin by 2020. If the government does not make the necessary corrections to tax legislation, such projects will remain in development in perpetuity. This situation, which is connected to delays in development in other sectors of the economy, was recently outlined by Valery Mironov, deputy director of the Development Center at Moscow’s Higher School of Economics. According to Valery Mironov, deputy director of the Center for Macroeconomic Analysis and Short-term Forecasting, there are three possible solutions to this problem. One: invest raw-materials revenue in the economy’s diversification, so as to develop non-raw-material sectors of the economy. Two: invest raw-material gains in real assets abroad. Three: invest money in controlling the global market for energy resources.